It’s no secret that I love Earl Grey. It seriously brightens my every afternoon, and the ritual of putting on the kettle and measuring out the leaves makes me feel like I am doing a tiny nice thing for myself. I always always appreciate it. 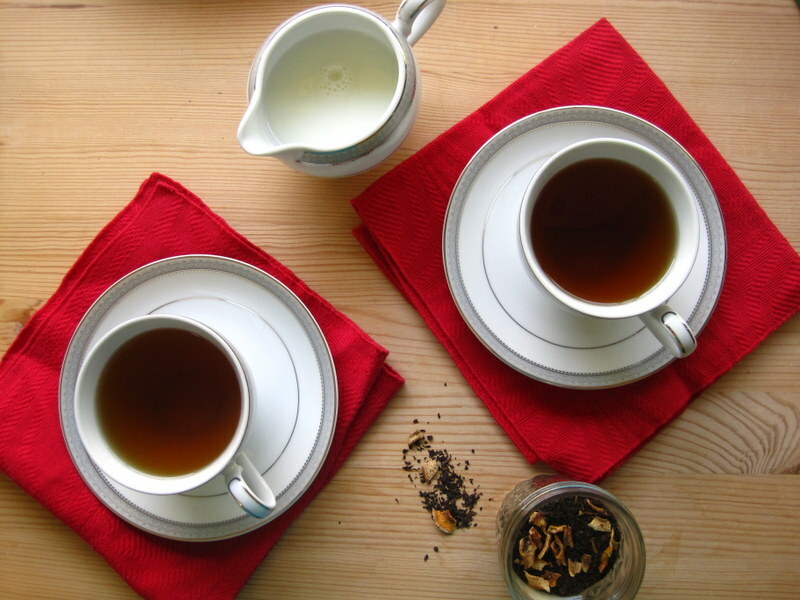 I have known for a long time that the citrus aroma of Earl Grey comes from bergamot, or specifically, from the super concentrated oil of bergamot. But imagine my glee when I found bergamots in stock at Berkeley Bowl last month! 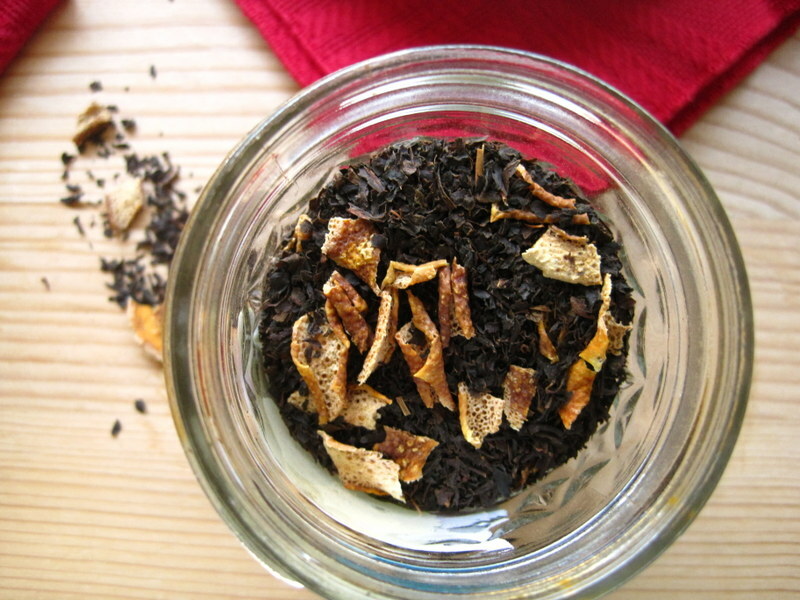 I could make my own Earl Grey! And I even found this super handy little guide to the process. 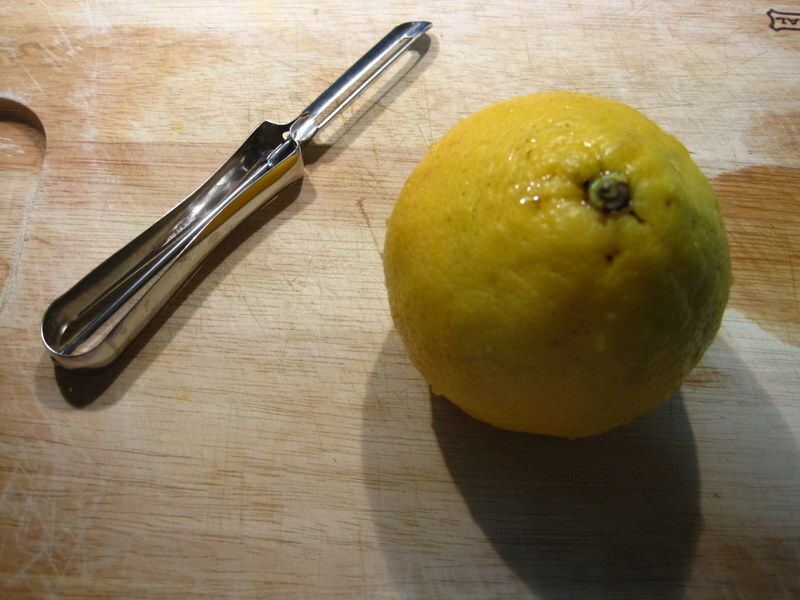 Here is my bergamot, ready to be peeled. 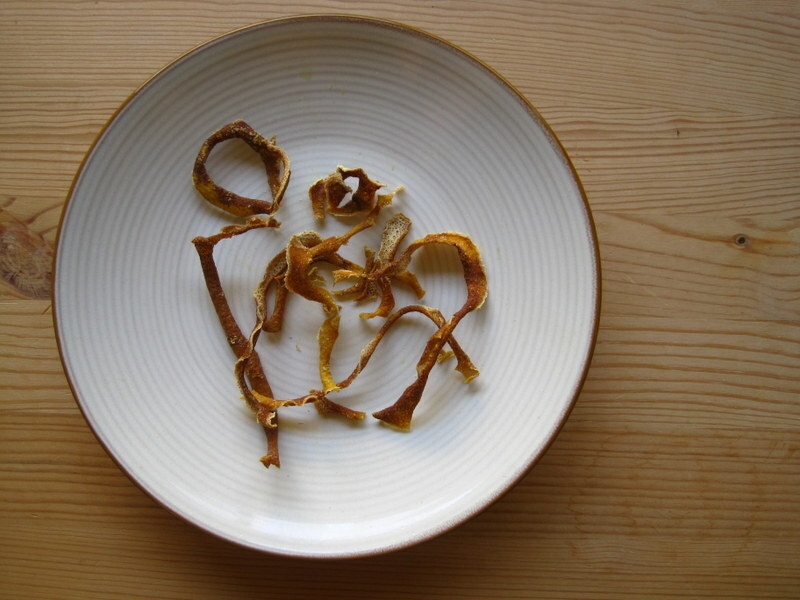 And here are its beauteous peels, filling my kitchen with a peppery citrus scent and waiting to be dried. I just left them out in the kitchen for a day or so, and they were ready to go. I broke them into small pieces and added to them to some very neutral black tea. That’s all! 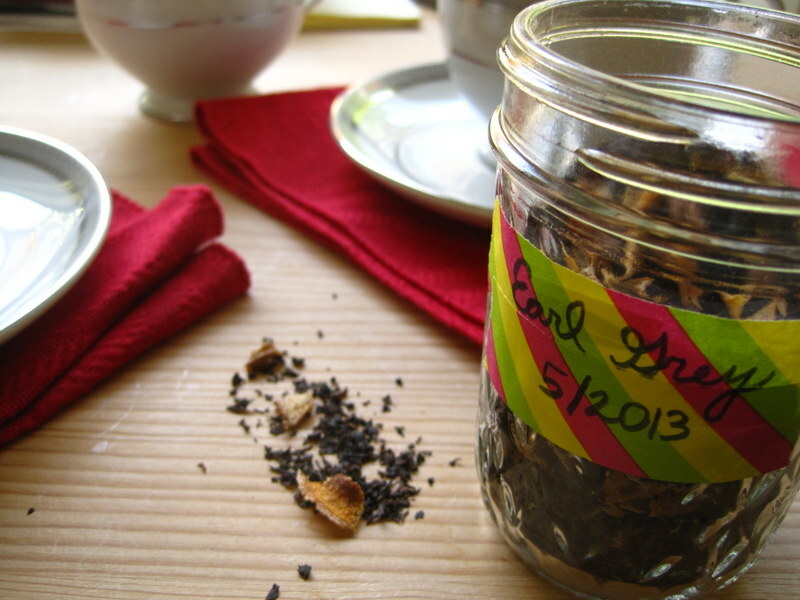 I brewed some this afternoon as a test drive, and…it needs more bergamot! I should have bought three or four of them, but alas, hindsight is 20/20. 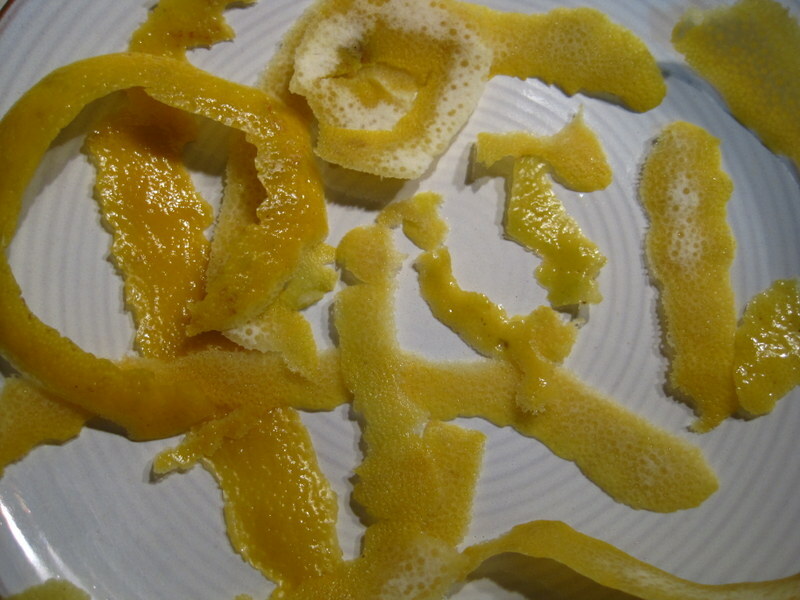 I am sure the oil is more concentrated than the peels, so I’ll add some more next time. Or I’ll use my secret weapon: I juiced the bergamot, so I can always add that secret sauce. For now, I am grateful that I can leave it to the professionals, since I definitely haven’t mastered this art, but this was still a really fun project! I bet if you tweak the recipe it will be perfect. I’ve never seen that fruit before, interesting!